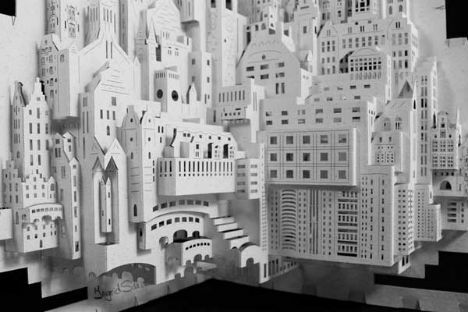 From flat sheets of paper, entire cities emerge, rich in unexpected details like balconies, tiny windows and even little people. 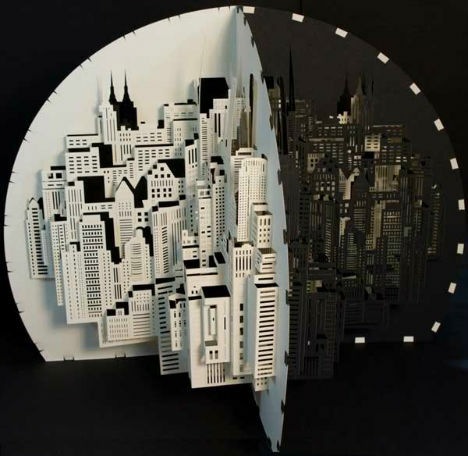 Dutch artist Ingrid Siliakus uses an initial 90-degree fold to give her miniature cityscapes depth and dimension, with an end result that is reminiscent of pop-up books. 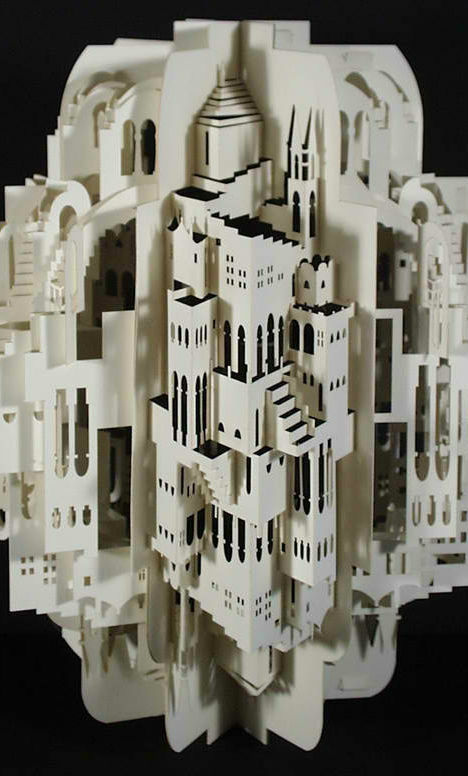 Under Siliakus’ skilled hand, paper ranging from thin sheets to hefty card stock assemble into complex staircases, arches and spires. 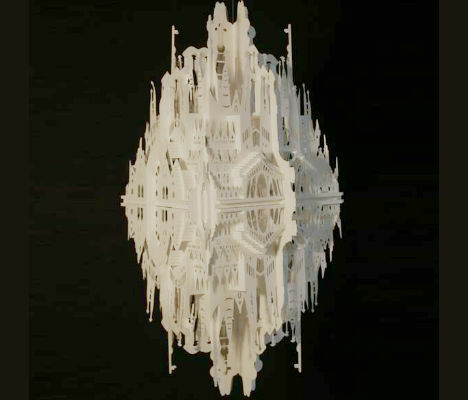 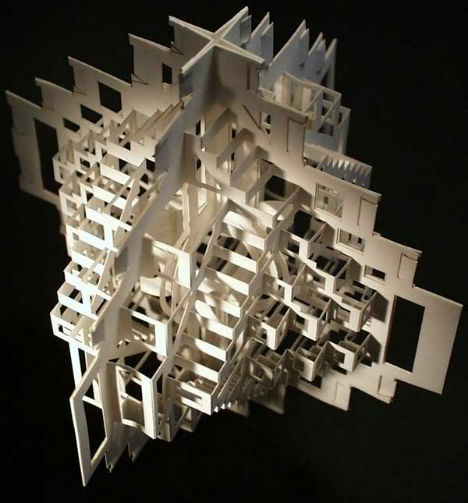 She specializes in the works of master architects, including Gaudi’s iconic Sagrada Familia of Barcelona. 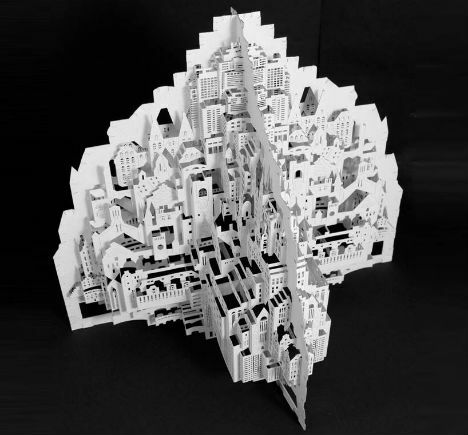 Before reaching a final product for each piece, the Amsterdam-based paper artist creates an astonishing 20-30 prototypes. 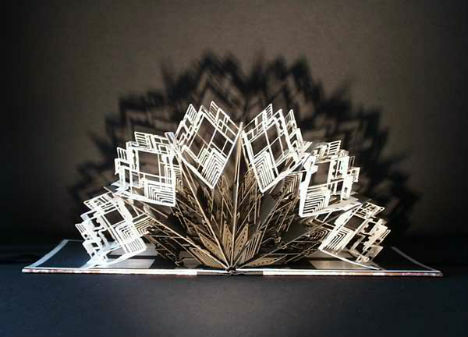 She adds layer after layer of folded and cut paper to the design until she is satisfied with the look.